Welcome to the new projectflood! Please check back regularly, as we'll be adding more content and activating the links to the left. To celebrate the re-emergence of projectflood.com, we're happy to present a new Rane live album for free download! 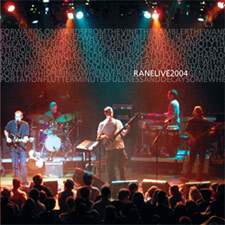 LIVE 2004 is a collection of tracks that were recorded on September 10, 2004 at the Main Pub in Manchester, CT. The original album artwork was again designed by Justin Novick at theLOFTstudio in Boston (please make sure that you are using Acrobat Reader version 5 or above, and when you print uncheck the "shrink to fit" option). In addition to the 12 album tracks, we've posted a series of four web-only bonus tracks, culled from the same show and from Porter's in Westbrook, CT (8/19/04).